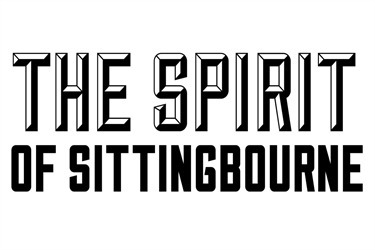 The Spirit of Sittingbourne consortium the development group behind the town centre regeneration plans have very generously gifted £2000 towards this year’s Christmas Lights appeal. "It costs £18 000 a year to put the lights up in our high street-this includes insurance, electricity and maintenance of the lights. This is a huge amount of money for our small band of volunteers to raise." "This year we were offered a generous donation from The Spirit of Sittingbourne which is around 11% of the amount we need to raise and has meant that we have been able to put lights in the tree outside Argos, and in Station Street, neither of which we would have been able to do without their generosity." "We are delighted to be able to play our part in lighting up the town for Christmas. In bringing many people into the town centre during the festive season, the Christmas lights will have a very positive effect and we hope will contribute to the holiday spirit in Sittingbourne." "We are on task to raise all the money we need but every little helps. If you see Santa out in his sleigh on one his nightly rounds, please open your door and pop some pennies in the bucket." "Join our monthly draw; for just £1 a month you could win £125. Come into the town this Saturday for Switch On and enjoy all the hard work. " "If anyone is interested in helping in anyway-please do get in touch! We hope you appreciate the Christmas Lights this year, and they help get you in the festive Spirit!"